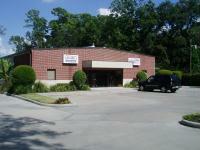 AlphaGraphics is well known in the Northwest Houston community for quality service and products. AlphaGraphics located conveniently on Stuebner Airline we can handle all of your printing, marketing, graphic design and copy needs. Staffed with experts in each of their fields you will feel confident passing off your next project. Offset & full color printing, copies, promotional products, graphic design, direct mail, shipping, AlphaGraphics can do it all! Stop in today, visit our website or call us directly to see how we can help your business grow and allow us to make you look good.